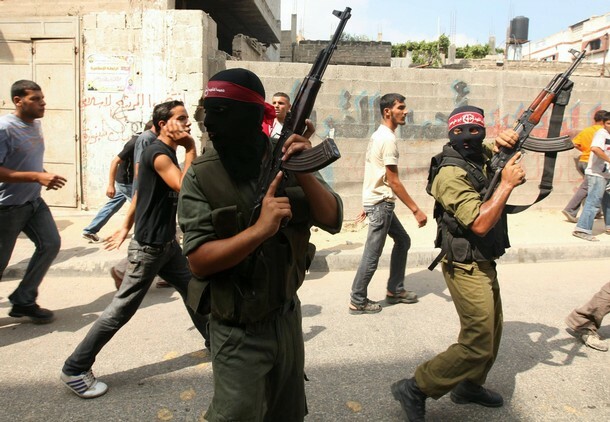 Furthermore, the PFLP strongly condemned the actions of the Palestinian Authority security apparatus, which coordinated with the occupation to arrest hundreds of Palestinians, particularly activists and members of the resistance, after this operation. The PFLP demanded an end to such arrests, the freedom of all such detainees, and confirmed that resistance – not negotiations – is our only option for steadfastness, unity, and confrontation of the occupier. Comrade Abdel-Alim Da’na, a leader of the PFLP in Khalil, said in a radio interview that the operation against the settlers – in which 4 racist settlers were killed at Bani Naim – represents “the normal and expected reaction” of a people exposed to constant violent assaults from the racist and fascist settlers. He discussed the proliferation of settler violence in Al-Khalil, and how racist and fascist settler violence is assisted by the Israeli Border Police. Comrade Emad Abu Rahma, a member of the Central Committee of the PFLP, called for increasing military resistance to occupation, calling upon all military forces of the Palestinian resistance and in particular the Abu Ali Mustafa Brigades, to increase resistance operations. He said that this is “our responsibility in the face of the official political charade of negotiations and concessions.” During a speech at a mass protest called by the Preparatory Committee of the National Conference Against Direct Negotiations in Gaza City, Comrade Abu Rahma said that the negotiations are part of a U.S./Israeli plan to liquidate the Palestinian cause. He said that Palestinian Authority President Mahmoud Abbas was illustrating his complete adherence to the path of negotiations and deference to Israeli dictates, an absurd path that achieve nothing for the Palestinian people. Negotiations are a great danger to the national rights of our people, said Comrade Abu Rahma, warning that the group who signed Oslo are reaching a high point in their willingness to provide free concessions and sign agreements accepting Israeli conditions, liquidating Palestinian rights. The direct negotiations must be challenged and responded to as a direct threat to the national cause – with all forms of action and popular struggle. It must be clear, said Comrade Abu Rahma, that the majority of the Palestinian people will not accept any concessions of their rights. In conclusion, he emphasized that the Palestinian national movement must place its trust and reliance not on the false and misleading promises of the U.S. government and the Obama administration, but on the steadfastness and resistance of our people. This entry was posted in Palestine and tagged Abdel-Alim Da'na, Abu Ali Mustafa Brigades, Al-Khalil, Armed Struggle, Emad Abu Rahma, Mahmoud Abbas, PFLP, Popular Front for the Liberation of Palestine, resistance. Bookmark the permalink. The “peace process” is an endless replay-loop, just noise. The “negotiations” have no purpose other than the elimination of Palestinian national rights, the liquidation of Palestinian identity, and the abandonment of millions of people they have forced into exile to whatever fate may bring. The Zionists and their imperialist backers have left the Palestinian people no recourse but armed struggle. The settlers, indeed, go armed, and not to defend themselves. They think the Palestinians are wild animals to be cleared from the land. When they suffer consequences they should at least not be surprised.